César Chávez Elementary School hosted the Muévete Health Fair last Saturday to help educate students and their families about ways to maintain optimum health. A variety of workshops were hosted by local high school students on such subjects as the correct proportions of the different food groups in daily meals. Other workshops showcased basic exercises, while a hands-on session gave kids the opportunity to make trail mix from scratch as an alternative to the sugar-laden snacks more widely available. “The crux of the situation is that a student cannot perform well academically if they are not healthy,” said Carlo Solis, the school’s community school coordinator. The fair also teamed up with UCSF, San Francisco General Hospital and San Francisco State University to measure body mass index, or BMI, to help kids and their families understand weight as a function of height and give them a rough idea of whether they are overweight or not. UCSF staff administered free flu shots, and representatives from SF General talked to families about interpreting the nutritional information provided on food products. “By hosting this fair, families don’t feel overburdened by having to go outside of their neighborhood to receive the health resources they need, but rather those resources come to them,” said Solis. 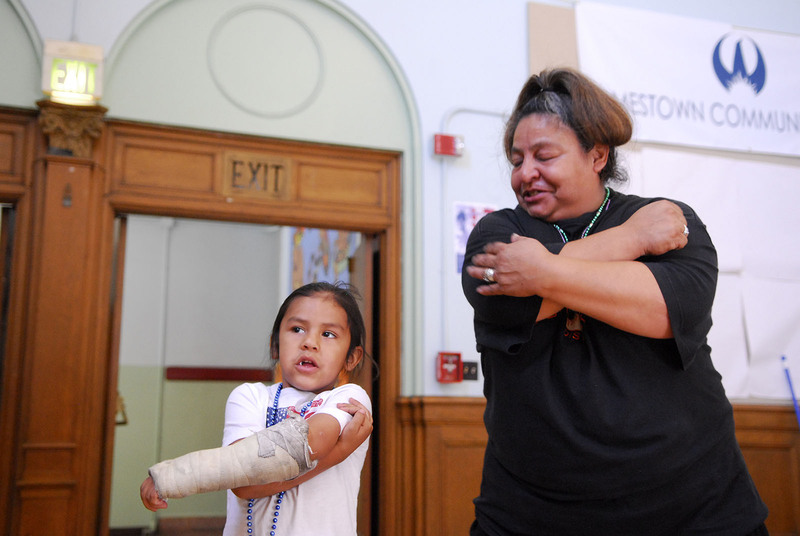 César Chávez Elementary is a community fixture to former student Jacqueline Barbeau, 48, who put her daughter through the school and currently has two of six grandkids in class there, with more on the way. For Barbeau, the school serves a variety of functions, including coalescing the community. “I enjoyed the fair because I have two grandkids that are coming here next year, so am happy to show them what this school is all about, including this great outreach with the community,” said Barbeau. The article forgot to mention that the program was led by the National Association of Hispanic Nurses program called Muevete and sponsored by Coca-Cola.